The below press release is featured in the February issue of High Profile. 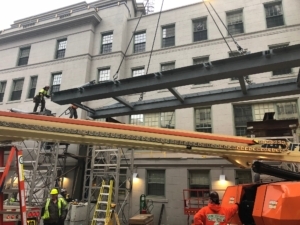 DM&S installs a 115-ton, preassembled section of the pedestrian bridge. 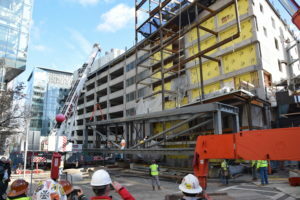 The final section of BCH’s pedestrian bridge.